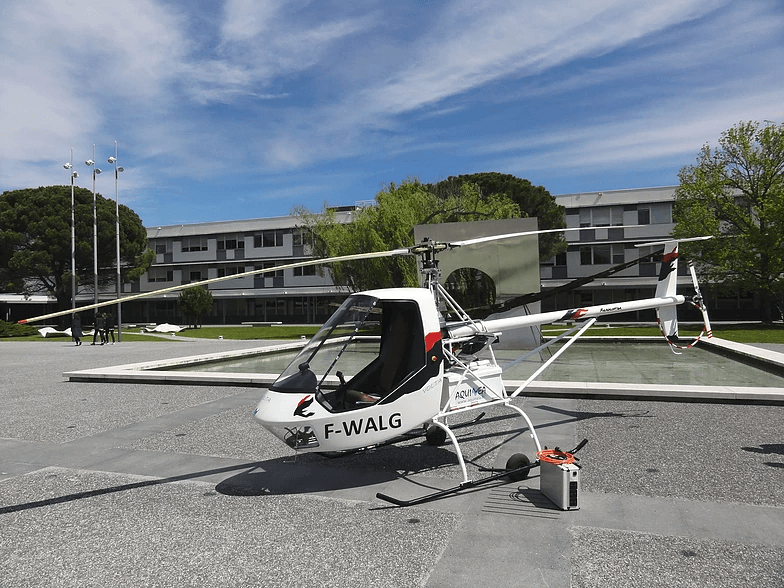 The Volta is a French electric helicopter, and has been setting endurance records with almost every flight, it seems. 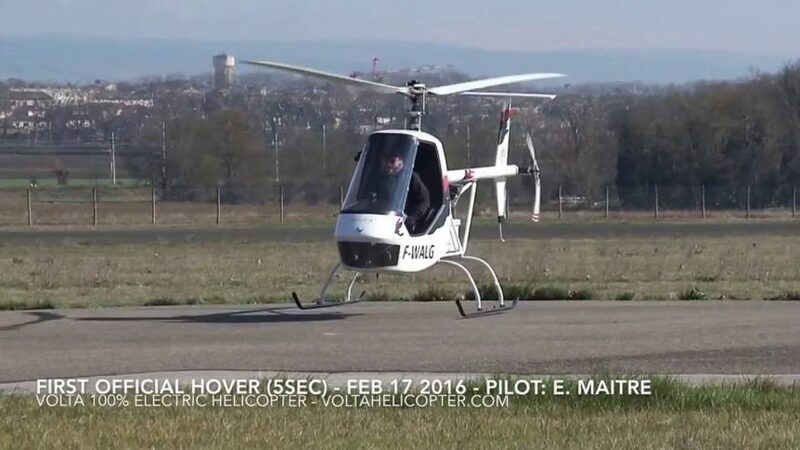 From its first hovering on February 17, 2016, and a first “official” three-minute flight on October 19, Volta has risen to new heights and set new “bests” for itself. Volta is based on Microcopter MC1, a one-of-a-kind model designed in 2004. 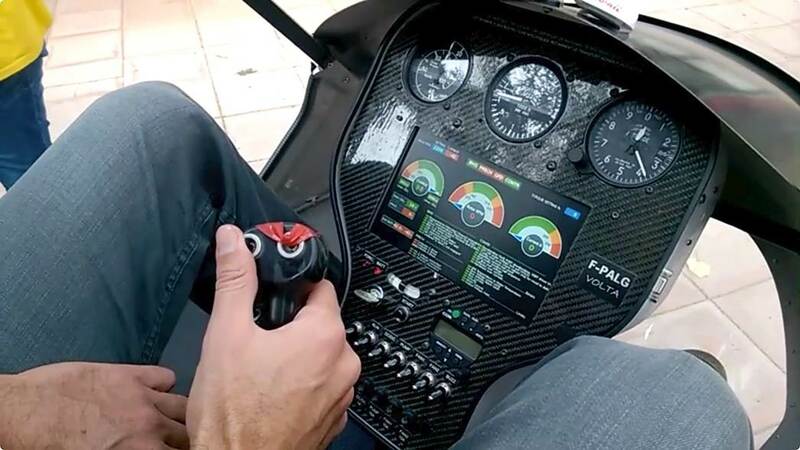 Propelled by a Subaru engine “that was never successfully regulated,” the MC1 was an ultralight helicopter of conventional design that caused Philippe Antoine to see its possibilities as an electric machine. Incidentally, you may still be able to get plans for the MC1 from Redback Aviation. “The atmospheric pollution is reduced to zero locally. The noise is reduced since there is no internal combustion anymore. And the maintenance cost is highly reduced, as the power chain is much simpler. Working with ENAC HCI researchers, he developed the avionics for the machine, while test-bedding their djnn technology. This software development tool enables interactive responses between an operator and a machine. Volta weighs 420 kilograms (924 pounds) including 165 kilograms (363 pounds) of batteries, and has a maximum takeoff weight of 520 kilograms (1,144 pounds). Its 22 kilowatt-hour battery pack can provide flight times up to 40 minutes, according to developers. Volta’s motor can put out 90 kilowatts (122 hp.) max and 70 kW (95 hp.) continuously. 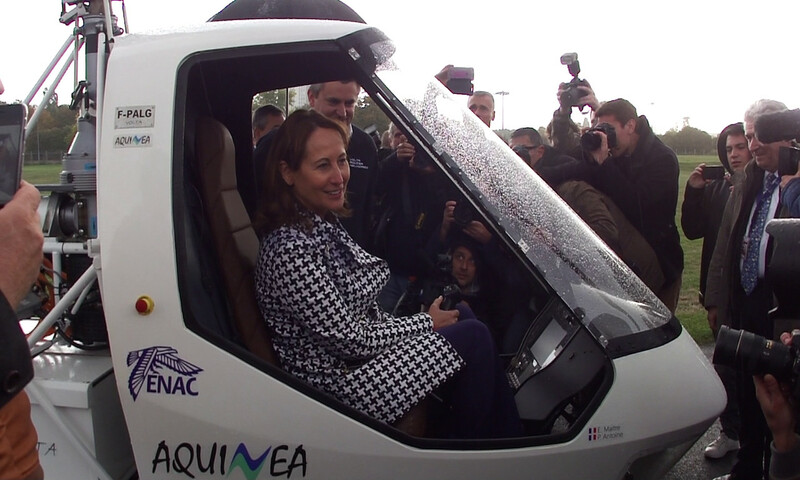 Volta made its “official” public flight with the Minister of Environment and Energy Mrs. Ségolène Royal, on the Heliport of Paris-Issy-les-Moulineaux. Other personalities included the Director General of Civil Aviation, the head of Aéroports de Paris, and the Mayor of Issy-les-Moulineaux. The media was much in evidence. The single-seat Volta, flying these 15 minutes, pretty much in ground effect, has demonstrated its ability to hover for the duration of its batteries’ energy storage. The developers hope to create a two-seater with up to forty minutes’ duration. Its display at the 2017 E-Flight Expo has probably excited further interest in this interesting helicopter.